Throwback Thursday: Calling all gamers! The simulation game had students serving as members of teams representing various interest groups. Assuming the role of the interest groups, the teams had to develop water quality standards and policy options for cleaning up an interstate river system. Swinerton believed students should be “actively involved in the learning process” and used the simulation game in his Introduction to Political Science courses. Swinerton was a professor at UWGB from 1968 until 1996. He taught courses in political science, urban and public affairs as well as the extended degree program. 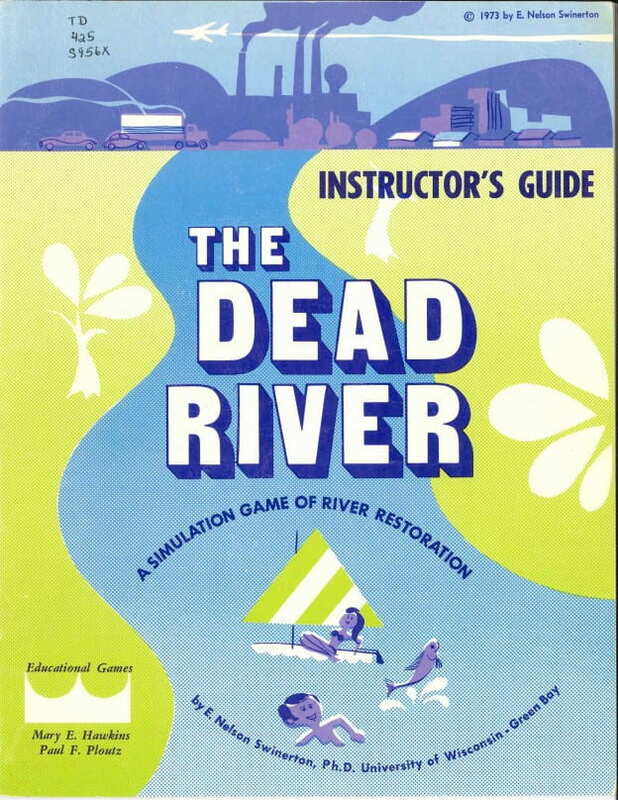 Marketed to social studies and science teachers, the game was produced and sold nationwide by the Educational Games Company of Ohio. This content was originally posted by the UW-Green Bay Archives and Area Research Center to their facebook page on Thursday, June 4, 2015. View the original Facebook post. This entry was posted in Throwback Thursdays and tagged #tbt, EcoU, Throwback Thursday on June 5, 2015 by Kimberly Vlies.